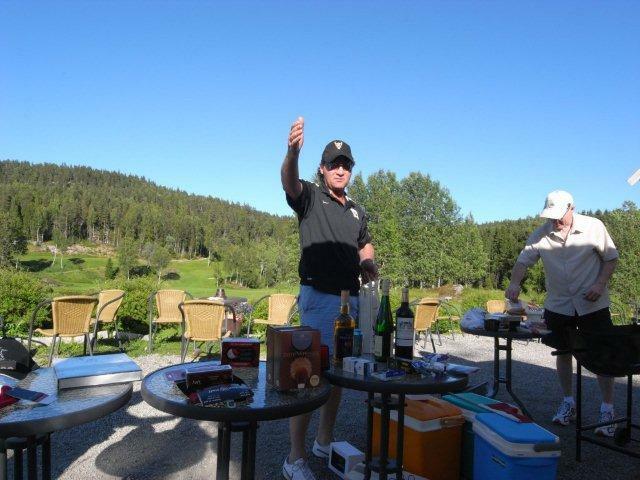 Under sunny skies, the 2010 version of our golf tournament was held at Krokhol Golfbane on the southeast edge of Oslo on June 26. 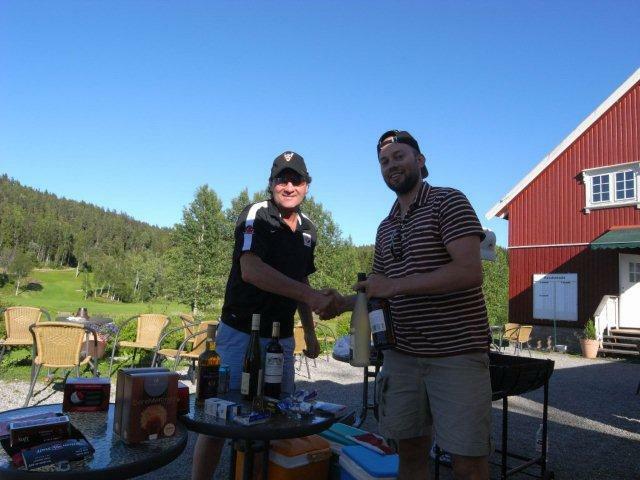 Congratulations to Jaye Smith, Dave Kurtz, Jørgen, Steinar Kjus and Gunnar Hoel for a well-played round. It was a close competition that came down to a poor performance from the MacDonald team (the Bogey hole). 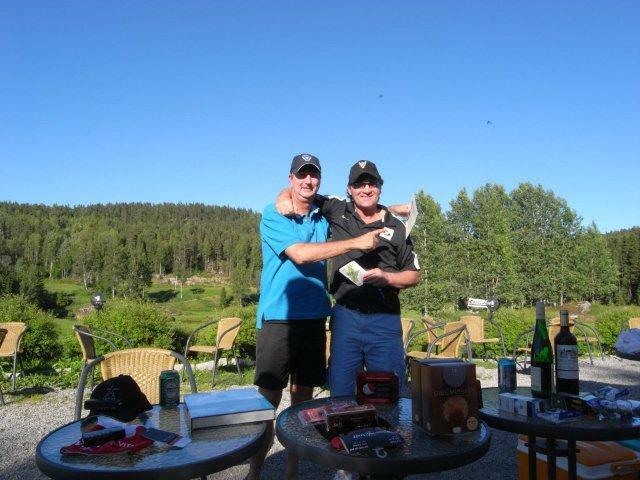 Great drive from Jørgen and Gunnar almost stole the "Closest to the Pin" from Steve. Thanks for Doug Lynch for setting us up with the course and especially the golf carts!! The scramble format was fun and worked out well. Thanks to Steve MacDonald and Jaye Smith for putting a fine day together. Pictures thanks to David Kurtz. 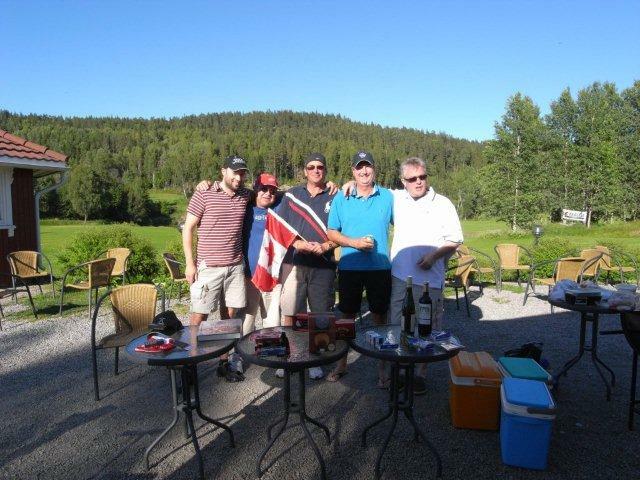 The winning team (from left to right): Jørgen, Steinar, David, Jaye and Gunnar. Congratulations! Closest to the pin. Congratulations Steve.